Welcome to Dr. D's CLINIC OF DOCTOR-PATIENT RELATIONAL AWESOMENESS! Do you have a question about your doctor or healthcare? Want a doctor to rant at? Want to say Hi? Want to tell Doctor D about your healthcare blog? Want to point out a typo in Doctor D's posts? Send Doctor D an email! He will try to write back to everyone even if he can’t get your answer on the site. Sorry, but Doctor D's email address has been removed. Despite warnings, 95% messages were requests to be diagnosed via email. The answers to most of the legit questions can be found with about 5 minutes in the blog archives. If you want to talk to Doctor D now that this blog is hibernating you shall have to enter the wild world of Twitter and find him HERE. Doctor D Makes House Calls: Click Here to Subscribe! Welcome To Ask An MD! I am a practicing MD. I started this blog to answer your questions on doctors and the bizarre world of healthcare. Got questions about your doctor or doctoring in general? Send them my way! Doctor D is on Twitter! AskAnMD used to be a weekly blog, but now it is hibernating. Posts are kind of rare these days. LAST PSYCHIATRIST -Fun with psychoanalysis! SERENITY NOW HOSPITAL -The adventures of Dr. Sensitive and his friends. DR. OTTEMATIC -Family Medicine resident in Canada, excellent writer. AGRAPHIA -Back from the dead! INDIFFERENTIAL DIAGNOSIS -Psychologically unstable med students are fun! ∞ ITIS -RA is tough, but is no match for Warmsocks! NEO-CONDUIT -Who knew bladder diversion could be so interesting? SICK MOMMA -Patient and Mother: two hard jobs! NEW NURSE INSANITY -Not sure why she's chopping fundi, but this nurse is great. AT YOUR CERVIX -Catching slippery babies! LIFE IN THE ER- Nurse Lee's odd tales of ER shifts. 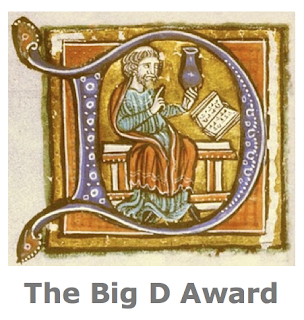 NURSE ME -Winner of the Big D Award! AMBULANCE DRIVER - Take a ride!